Sales from Singapore showed an increase in demand from 2016 to SGD30 million (USD22 million) in the first half of 2017. 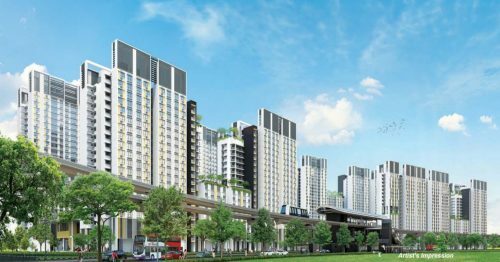 SINGAPORE – Sansiri Public Company Limited, Thailand’s only fully integrated property developer, today revealed its 1H2017 business results as well as its business plans moving into the latter half of the year. With a sales target of SGD1.5 billion (USD1.1 billion) for 2017, and 8 billion baht SGD$336 million (USD$245 million) expected to be realized from sales to foreign investors, Sansiri achieved SGD160 million (USD115 million) sales from foreign investors in the 1st half of 2017. Notably, 94 per cent of the sales uptake among foreign investors was contributed by Asian markets including Singapore, China, Hong Kong, Malaysia, Japan and Taiwan. Two percent of foreign buyers are from Europe, with the remaining 3 percent from the United States. 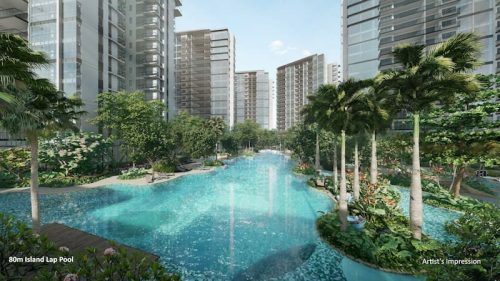 Sales from Singapore showed a five-fold increase in demand from 2016 to SGD30 million (USD22 million) in the first half of 2017. As one of the key markets contributing to the sales growth of Sansiri, the real estate developer is expecting Singapore to contribute up to SGD45 million (USD32 million) in revenue for the second half of 2017, accounting for approximately 12 percent of Sansiri’s sales volume from foreign buyers this year. “We believe that the launch of Sansiri’s Singapore office earlier this year has been pivotal in strengthening our brand presence in the local market and ensuring the continuity of after-sales servicefor our customers,” said Mr. Srettha Thavisin, President of Sansiri. 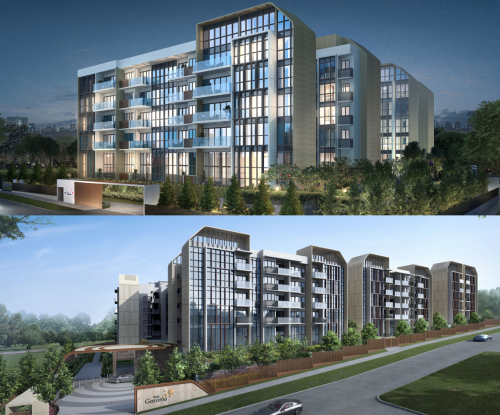 For the latter half of the year, Sansiri has six property launches in the property roadshow pipeline in Singapore market, adding approximately 3,500 new units to the market. They include 98 Wireless, The LINE Wongsawang and projects in Sukhumvit 36, Ekamai (Sukhumvit 63) and Sathorn. All six projects boast of a prestigious address in the B and C segments, which are close to the new Bangkok Central Business District and BTS skytrain stations. 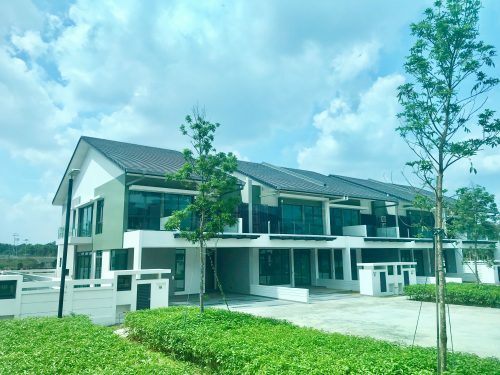 The developer expects the projects to be popular with young professionals and customers looking to invest in properties with a higher and more stable yield. Specifically, 98 Wireless, its flagship property touted to be the best in Thailand and Southeast Asia, is one of the projects primed to attract high net worth investors from around the world. Sansiri also has plans in place to introduce the Singapore market to Thong Lo (Sukhumvit 55) and Ekamai (Sukhumvit 63), Bangkok’s latest living and business hot spots. Sansiri continues to reinforce its brand through continuous marketing and lifestyle activities. The developer will be organizing The Finest Thai, a lifestyle event with the Royal Thai Embassy in Singapore from September 8-10 to present the premium Thai lifestyle and introduce its properties to the international audience. Sansiri is widely regarded as Thailand’s leading developer of quality homes, townhouses, and condominiums and the country’s only fully integrated property developer. With a workforce of 3,400 employees, Sansiri has built more than 300 projects throughout Thailand and a residential building in London during its 33-year history, all with a strong emphasis on design and livability. Sansiri provides comprehensive services that go beyond those of traditional developers: concierge services, property management, sales brokerage, and long-term resort rentals. In 2015, the company’s revenues totaled more than USD1 billion.